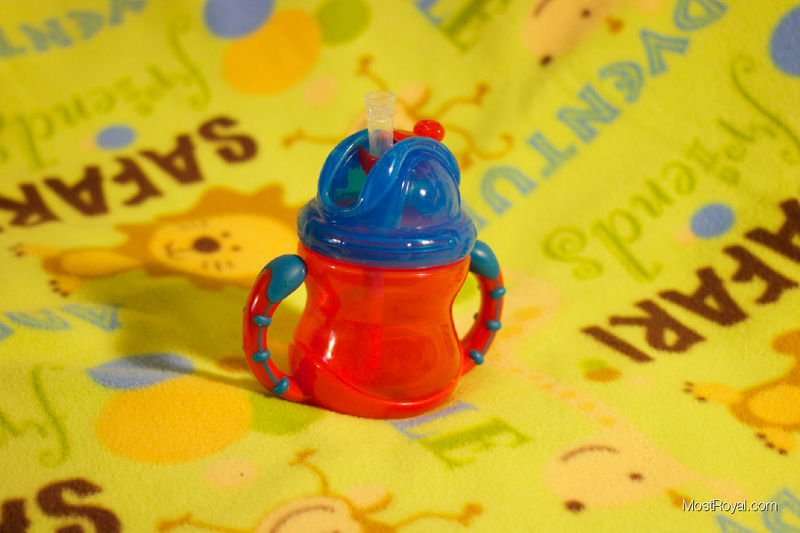 I feel like I am constantly on the search for the perfect sippy cup. We have tried maybe 8 so far, and of those I am happy with three. 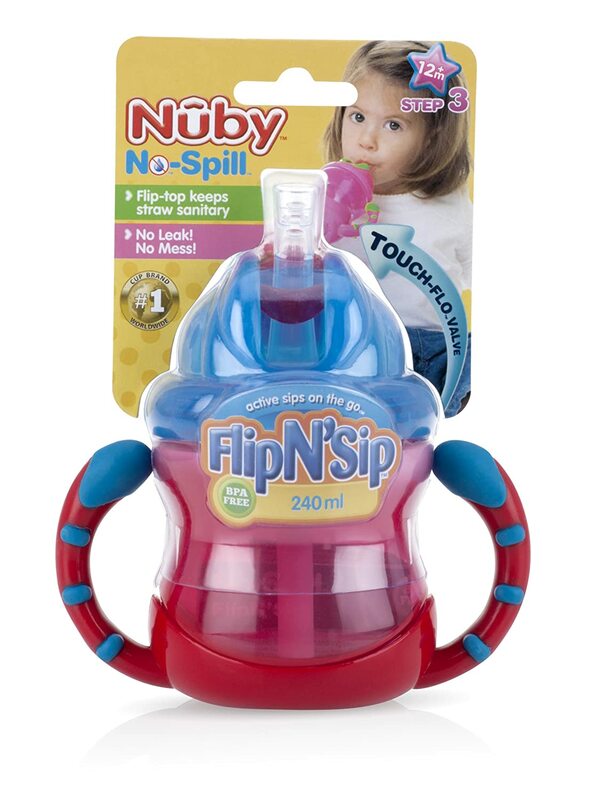 The Nuby No-Spill Flip N’ Sip Cup is not one of them. 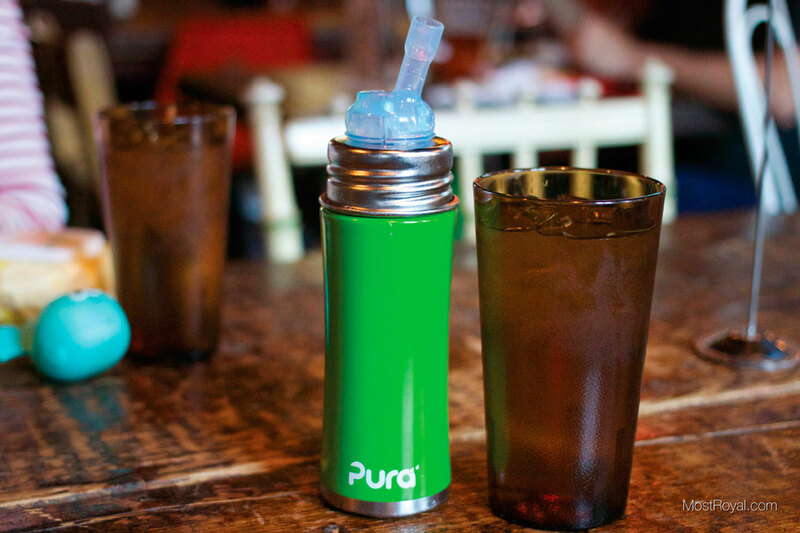 Maybe it was human error, but I put water in this cup for my son the first time we used it, shook it upside down, squeezed the straw, and was I happy to see that it did NOT spill. Off to a great start. I gave it to my son, turned around to put something away, and when I turned back I found that he was splashing his hands on his high chair tray and that he had sufficiently soaked himself. 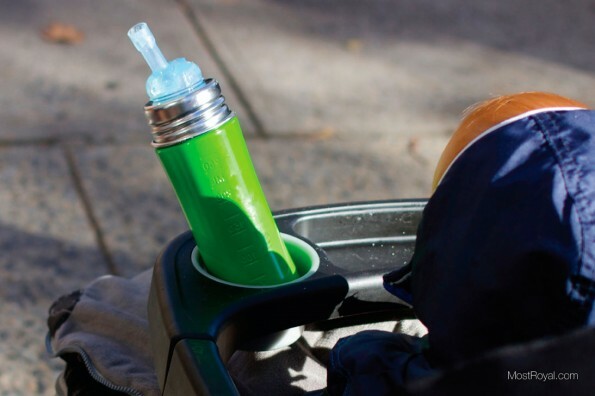 We give the Nuby No-Spill Flip N’ Sip Cup 3 of 5 stars because it leaked heavily upon first use but seems to be improved after additional usage.